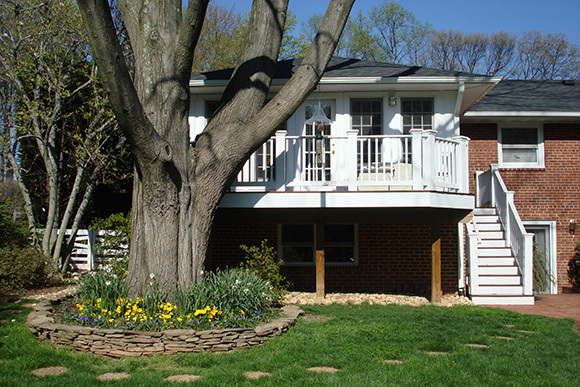 When the rear of a property slopes down from the front, the back yard can feel disconnected from the living room, dining room and kitchen. On this ranch home we added a family room that gives additional space off of the kitchen and dining room. An elegant deck also allows the homeowners to conveniently stroll out of the house and enjoy quiet time or a meal outdoors.